Counter Top Rotating Mirror 7" x 14"
Black frame glass rotating mirrors of dimension 7" x 14" has large base that fits perfectly on counter. Its nonslip lip makes turning easy. 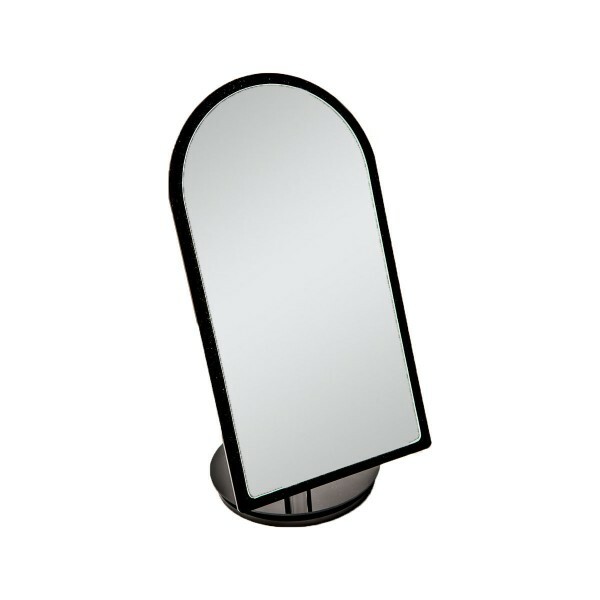 Black frame counter top rotating mirror 7" x 14"